Shelby Johnston, a Ph.D. student in geology at the University of Houston, was awarded a Mineralogical Society of America Grant for Student Research in Mineralogy and Petrology. This grant, for the amount of $5,000, will support her work to develop a method to establish temperature histories for sedimentary rocks. Shelby Johnston, a Ph.D. student in geology, studies thermochronology, which is the study of dating the heating and cooling of rocks. 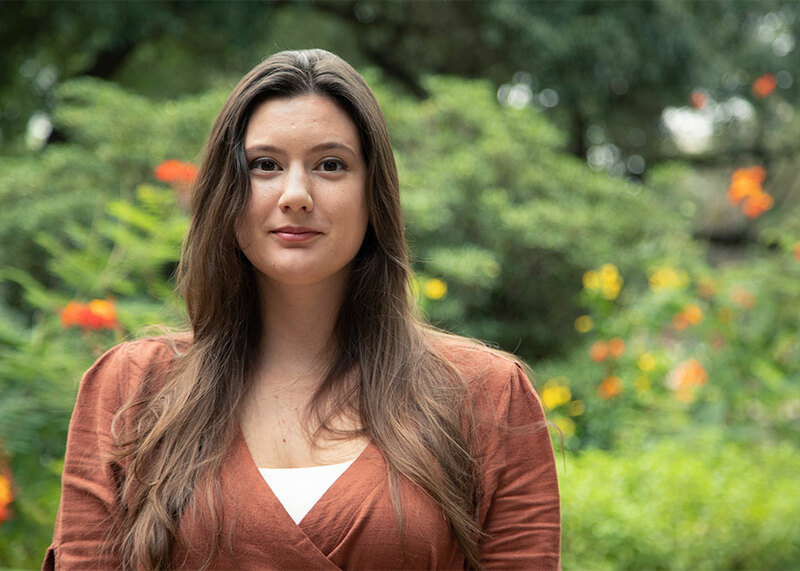 One of two grant recipients selected in 2018, out of more than 60 applicants, Johnston is the first student from UH to win this award. Johnston conducts her research under the guidance of Peter Copeland, professor of geology in the Department of Earth and Atmospheric Sciences. Her specialty is thermochronology, which is the study of dating the heating and cooling of rocks. Such information is useful in oil and gas exploration, for identifying locations of possible oil reservoirs. Johnston dates a class of minerals called zircons, which can be found in almost every type of surface rock. Zircons contain trace amounts of radioactive uranium. When this uranium decays, it produces helium and lead. Helium, which is a very small, light atom, has a tendency of escaping from zircons. When a zircon heats up, the amount of helium escaping increases. The amount of helium that escapes is also dependent on the amount of radiation damage a zircon has sustained. The older a zircon is, the more uranium has decayed, and in the process, damaged the zircon, making it easier for helium to escape. Current methods of estimating the temperatures a zircon has been exposed to in the past produce variable estimated ages. To standardize these measurements, Johnston will perform experiments on laboratory-processed samples. Understanding the combination of temperature and radiation damage, and how that affects the rate of helium escape, will allow researchers to produce more accurate estimates of the temperatures a zircon has been exposed to in the past. “We will perform these experiments on samples that have known amounts of damage, rather than samples that have been collected from nature,” Johnston said.